John West is launching ‘Get Yourself Shipshape', a major consumer campaign designed to encourage healthier eating and active lifestyles. Building on the brand's heritage of making fish accessible to all, ‘ Get Yourself Shipshape' aims to put eating fish more front of mind as part of a balanced active lifestyle and as part of the campaign, John West will become the headline sponsor of Great Swim in 2019. 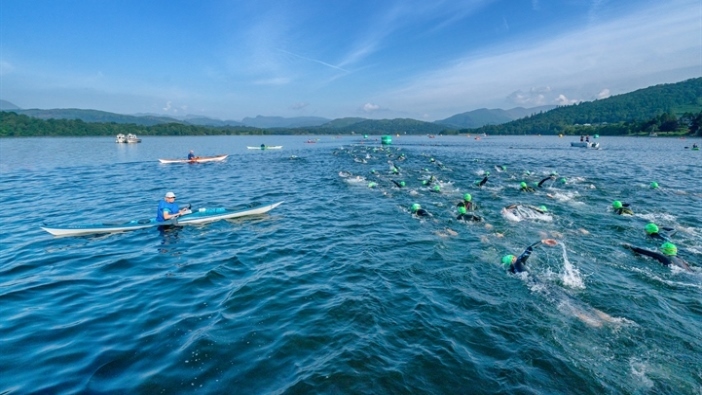 Great Swim hosts the UK's biggest open water swimming event, the Great North Swim at Windermere in the Lake District National Park and the Great East Swim in Suffolk. The events attract more than 12,000 swimmers and more than 40,000 supporters. The sponsorship includes large-scale ‘Get Yourself Shipshape' branding across The Great North Swim and The Great East Swim, product sampling, eCRM and social media. John West, which has been supplying the UK with quality fish for 160 years chose swimming as it is a natural fit for the aquatic brand, and its benefits include improved physical and mental health. To support the brand's biggest consumer activation in recent years, John West has teamed up with two-time Olympic gold medallist Rebecca Adlington and athlete adventurer Ross Edgley to help spread the ‘Get Yourself Shipshape' message. Rebecca and Ross will inspire the nation with training tips, advice on how to ‘Get Yourself Shipshape' and share nutritional tips on how best to improve diet whilst maintaining a healthy, active lifestyle regardless of age or ability. According to Kantar Worldpanel Usage, almost one in every three food items are chosen for health reasons. Servings of food chosen for health reasons have grown 5% across the sector in year to September 2018 data (vs. last 52 weeks). So much so, health now drives a third of all in-house consumption choices and the sector is worth £20.6 billion per annum. John West is looking to capitalise on this consumer love affair with health by shining a spotlight on fish as a nutritious source of protein. In addition, John West is supporting the Great Run Series 2019 which includes the epic Great North Run and will be giving away more than 200,000 samples at 21 events across the UK. The ‘Get Yourself Shipshape' campaign spans experiential, event sponsorship, social and digital advertising, influencer engagement and PR. Jen Isaac Partnerships Director at The Great Run Company said, “We're excited to work with John West across our Swim and Run events. “A balanced lifestyle is a key consideration for many of our participants, and a healthy diet will help them achieve the goals they set when they sign up to a physical challenge. Last year saw John West invest significantly in packaging innovation to make it easier for consumers to include fish in their diet and increase the amount of fish they eat on a regular basis. Examples of these innovations are the handy New No Drain Tuna Fridge Pot, which you can simply, peel, reseal and pop in the fridge, as well as Omega 3 and protein rich Easy Peel Mackerel Sauces, which now have a new easy-open tab, meaning there are no sharp edges or messy splashback. In addition, the brand launched Salad Tuna Fillets Infused in Olive Oil dressing, which are simple, tasty and a nutritious addition to salads.